The government of Karnataka rushed into a series of decisions on Thursday to get Infosys, the information technology (IT) giant, to retract its decision to withdraw from the upcoming Devanahalli IT Park near the international airport. Chief Minister Siddaramaiah chaired a meeting at his home office and directed urgent taking up of the required infrastructure work, including development of four-lane roads, water pipelines and supply of 200 Mw electricity to the project. “We have already allotted 40 acres to Infosys at this park and reserved another 60 acres. 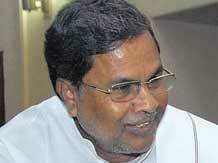 If the company wants more land, the department is ready to give it,” Siddaramaiah told reporters after the meeting. Earlier this month, Infosys said it had decided to withdraw from the IT Park, citing delay in completion of infrastructure. Among others, the company had cited lack of road connectivity and potable drinking water as major concern areas. The company wrote to the government to refund the deposit it had made towards cost of land acquisition. Also, Andhra Pradesh chief minister N Chandrababu Naidu has come here and met captains of industry, to invite them to invest in his state. The Karnataka Industrial Areas Development Board had in 2010 allotted 40 acres at Rs 1.8 crore per acre to Infosys. The company had requested another 60 acres. “It is not correct that the company is trying to withdraw from this IT Park. Because of the delay in creating infrastructure facilities, they proposed to shift to Electronic City near Bommasandra (another suburb here) in their letter. They have not said they will go out of this project,” said the CM. He said 70 per cent of the work for constructing the four-lane road to connect the IT Park with the main highway was complete. The balance 30 per cent would be done in three months. “I have instructed the Bangalore Water Supply and Sewerage Board to take up on priority the work to lay the water pipeline to the Park. We will provide them treated water. Already, 40 Mw power is available to them and as promised earlier, we will supply 200 Mw in the next one year,” he added. Infosys has long been looking for land to expand its operations in Bangalore. The company’s Electronics City campus has capacity for 26,000 engineers. Apart from Devanahalli IT Park, the company plans to develop a campus near Sarjapur Road, for which it is in the process of acquiring 300 acres from farmers. S R Patil, the state’s minister for IT, biotechnology and science & technology, added the decisions at Thursday’s meeting would be communicated to Infosys immediately. “Infosys is Karnataka’s baby. They will not go anywhere from here. We have assured them full support from the government,” he said. Patil said the company was investing Rs 1,000 crore on a new campus at Hubballi (earlier Hubli, 400 km from here).